Spider-man and Black Panther against Dinosaurs! Spider-man jumps without a parachute into the Savage Land, where he and Ka-zar take on the evil Stegron and a herd of stampeding dinos! Later, the dinosaurs fly to New York to bring chaos to the streets. And who should drop in but the Black Panther?! 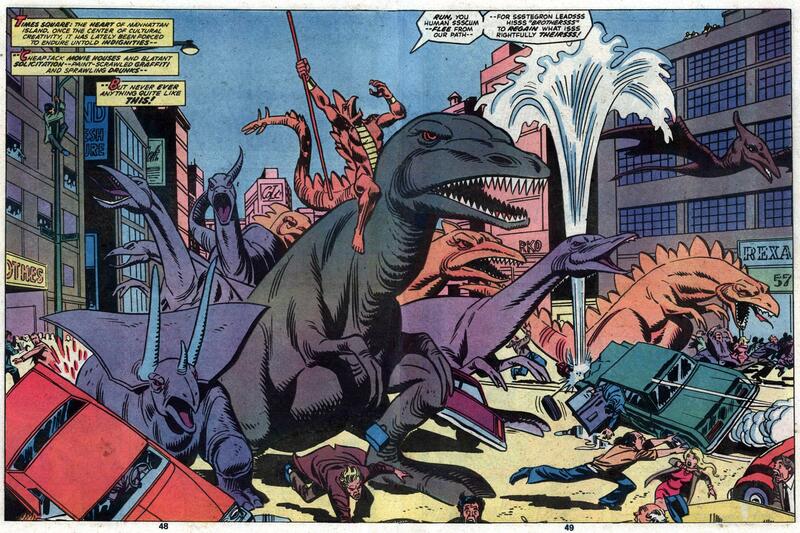 With art by Gil Kane and a guest appearance by Dr. Curtis “The Lizard” Connors, this two-part dino extrvaganza has been one of our very favorites for as long as we can remember! Did you miss Part One of the story?